Abul Hassan Ali Ibn Usman al-Jullabi al-Hajveri al-Ghaznawi (ابوالحسن علی بن عثمان الجلابی الھجویری الغزنوی) or Abul Hassan Ali Hajvari (sometimes spelled Hajvari, Hajweri, Hajveri), also known as Daata Ganj Bakhsh (Persian/Punjabi: داتا گنج بخش, which means the master who bestows treasures) or Daata Sahib (Persian/Urdu: داتا صاحب), was a Persian Sufi and scholar in the 11th century. He significantly contributed to the spreading of Islam in South Asia. He was born around 990 CE near Ghazni, present day Afghanistan, during the Ghaznavid Empire and died in Lahore (in present-day Punjab, Pakistan) in 1072 CE. His most famous work is Revelation of the Veiled (Kashf Al Mahjub) (کشفُ المحجوب), written in the Persian language. The work, which is one of the earliest and most respected treatises of Sufism, debates Sufi doctrines of the past. Ali Hajvari is also famous for his mausoleum in Lahore, which is surrounded by a large marble courtyard, a mosque and other buildings. It is the most frequented of all the shrines in that city, and one of the most famous in Pakistan and nearby countries. His name is a household word, and his mausoleum the object of pilgrimage from distant places. Ali Hajvari studied Sufism under Abu'l-Fadl Muhammad, who was a student of Abu 'l-Hasan al-Husri. Abu 'l-Fadl Muhammed bin al-Hasan was well-versed in tafsir and riwayat. Ali Hajvari traveled far and wide through the Indus River to the Caspian Sea. Among the countries and places which he visited were Adharbayajan, the tomb of Bayazid at Bistam, Damascus, Ramla, and Bayt al-Jinn in Syria. In Greater Khorasan alone he is reported to have met 300 Sufis. Al-Hajvari was associated with the most well-known Sufi orders in the subcontinent, such as the Qadiri, Suharwardi, Naqshbandi, and the Junaidi orders. 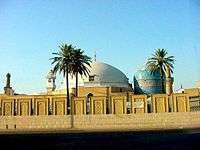 Hajvari belonged to the Junaidia school of Sufism, founded by Junaid Baghdadi, a major Sufi saint of Baghdad. Hajvari is also viewed as an important intercessor for many Sufis. Moinuddin Chishti Ajmeri, a chief saint of the Chishti order, stated that an aspiring murid (disciple) one who does not (yet) have a murshid (spiritual master), should read Ali Hajvari's book Kashf al-Mahjub, as that would be (temporarily) enough for his spiritual guidance. He settled for some time in Iraq where he had a short experience with married life. Al-Hajvari was a contemporary of al-Qushairi. During his travels, he met with many eminent Sufis, and saw and felt the slow transformation of Sufism from simple asceticism and adoration of God to a highly developed theosophical cult considerably influenced by pantheistic ideas. He is the link between mysticism as it developed in Persia and Khurasan, and the form it took in the Indian subcontinent. Although a Sunni Hanafi, Hajvari's theology was reconciled with the concept of Sufi annihilation. However he seriously campaigned against the doctrine that human personalities can be merged with God, instead likening annihilation to burning by fire which allows the substance to acquire fire like properties while retaining its own individuality. He also was a great upholder of the Sharia and rebuffed the idea that outward observances of Islam are not important for Sufis. Hajvari believed that individuals should not claim to have attained "marifat" or gnosis because it meant that one was prideful, and that true understanding of God should be a silent understanding. Revelation of the Veiled or Kashf ul Mahjoobis held in high esteem as the first important treatise on Sufism in Persian. The date of the completion of the book cannot be determined with any certainty. It must have taken Hajvari a long time to write it in Lahore without his personal collection of books. He was a prolific writer, perceptive and discriminating in his choice of topics. It was written in response to the request of one Abu Sa'eed Al-Hajvari who put the following questions to him: "Explain to me the true meaning of the Path of Sufism and the nature of the stations' (maqamat) of the Sufis, and explain their doctrines and sayings, and make clear to me their mystical allegories, and the nature of Divine Love and how it is manifested in human hearts, and why the intellect is unable to reach the essence thereof, and why the soul recoils from the reality thereof, and why the spirit is lulled in the purity thereof; and explain the practical aspect of Sufism which are connected with these theories." When Ali-Hajvari was asked what is Sufism? he replied, "In our times this science has been in reality obliterated, especially in this region, for people are all occupied with pleasure, and have turned away from satisfying [God]. ↑ Wach, Joachim (1948). "Spiritual Teachings in Islam: A Study". The Journal of Religion. University of Chicago Press. 28 (4): 263–80. ISSN 1549-6538. JSTOR 1199083 – via JSTOR. (registration required (help)). ↑ Hidayet, Hosain (6 April 2011). "Haj̲varī, Abu 'l-Ḥasan ʿAlī b. ʿUt̲h̲mān b. ʿAlī al-G̲h̲aznawī al-Ḏj̲ullābī al-Haj̲varī,". Encyclopaedia of Islam, Second Edition. ↑ Nichloson, Reynold (2000). Kashf al-Mahjub of al-Hajvari. E. J. W. Gibb Memorial. ↑ Rashid, Abdur (1967). The Life and Teachings of Hazrat Data Ganj Bakhsh. Ishfaq Ahmed. ↑ Nichloson, Reynold (2000). Kashf al-Mahjub of al-Hajvari. E.J.W. GIBB MEMORIAL. ↑ Renard, John (2004). Knowledge of God in Classical Sufism. New York: Paulist Press. ↑ Ernst, Carl (1997). The Shambhala Guide to Sufism. Boston: Horticultural Hall.